Who remembers this little black dress? I wore it for a photoshoot to celebrate me losing my first 30 lbs, and I wanted to share how this dress looks now that I’m down another 30 lbs from the last point. 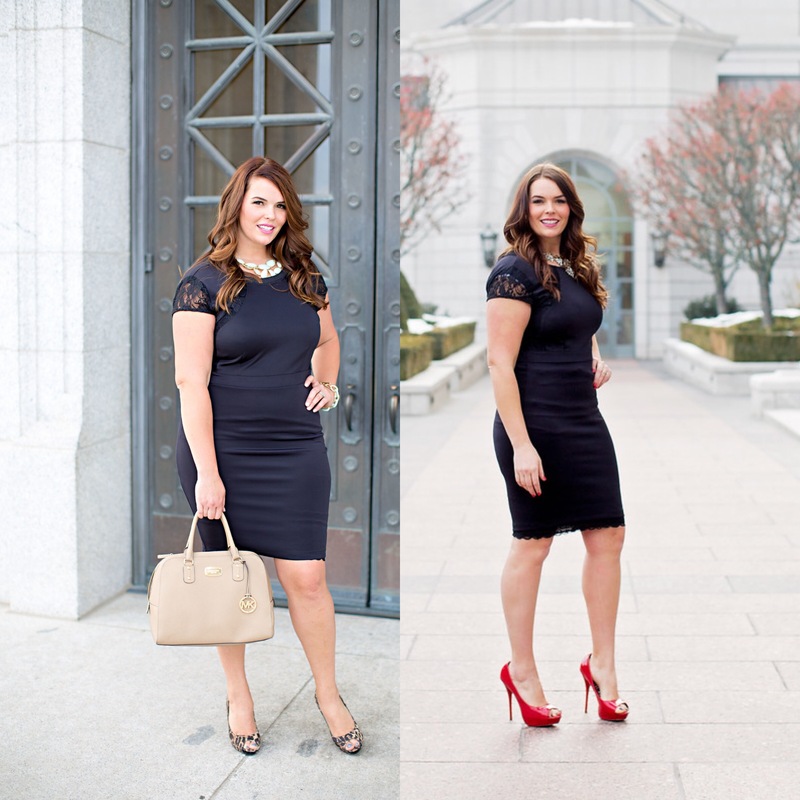 I agree that I look beautiful in both pictures, but I can say that I FEEL so much better in the dress now. If you read my post on overcoming food addiction, I talked about how I’ve learned to love my body for the first time in my entire life. Until this year (yes, 2016), I struggled with body image. I was never skinny enough and I settled on the idea that it just wasn’t in the cards for me and that my body was meant to be bigger and curvy. THIS IS AND WAS ALWAYS A LIE. Now, each of us has a certain body type and shape, but overweight isn’t one of them. And if you’re honestly happy with how your body looks and performs (regardless of the number on the scale) you’re further ahead than I was. I remember feeling so unhappy in my own skin (all the time) and hating everything about my body, nothing I did was ever enough. As soon as I started doing those small consistent daily things (like eating better and exercising 4-6 times a week) I felt differently. Suddenly my body was getting stronger and I started to believe that I could do it. Finding a mentor was the missing puzzle piece for me and I found myself believing that I was able to hit my goals, for the first time ever I believed in me. Sometimes its hard to step outside of yourself and the things you have going on to realize that you are in the driver seat (obviously I’m not talking about health problems that you have control over) but for the most part, you are in control of how your body looks. The biggest struggle for me has been the mental one (especially with food and cravings). It always seems to be harder to convince your mind of things that you’re capable of. But if you don’t have a plan or a direction that you want to go, how will you know when you get there? I promise you, the majority of people who have good physiques are VERY aware of what they put in their bodies and everything is intentional. This is what I’ve found in my life too. You are not a victim. You can change at anytime. You are strong enough to make and have the best version of yourself mentally and physically, it’s all going to depend on when you’re ready to make that commitment.